While Mad Max: Fury Road seems destined to go down as one of the best movies of the year, we still didn’t have a serious contender for “The Best Completely Stupid But Surprisingly Awesome YouTube Trailer of the Year.” Until now. 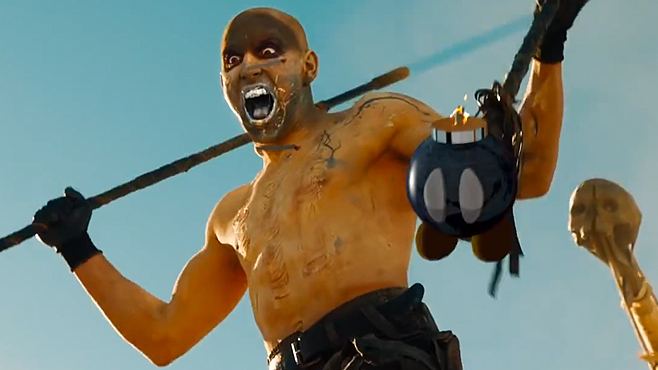 This clever new parody trailer imagines George Miller’s latest Mad Max movie as a desert level from Super Mario Kart, with Tom Hardy as Mario, Charlize Theron as Princess Peach, Nicholas Hoult as a Koopa Troopa, and the destructive sandstorm as merely what happens when you get the lightning power-up. It’s a fun idea, and the overwhelming excitement of the Mad Max: Fury Road trailer turns every goofy moment into an over the top spectacle. Muscle cars flying through the air now hit question mark boxes, or fly through coins. The crash of Max’s car at the beginning of the film was the direct result of an incoming blue shell. The explosive spears are tipped with Bomb-Ombs. 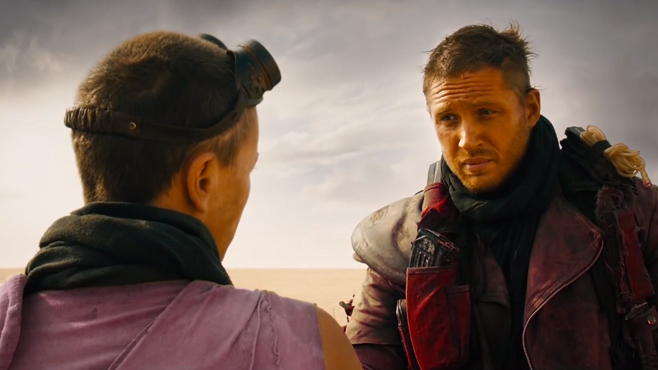 Even the palette swap on Max and Furiosa’s costumes make us laugh a little. So check out this impressively detailed and very entertaining new YouTube video, and then go see Mad Max: Fury Road again, because holy @#$%-ing @#$%, that’s a good movie!